From Washington: Take Interstate 495 to Exit 11A. Follow Route 4 south for approximately 75 miles. Navy Recreation Center Solomons is in Solomons, Md., on the right-hand side just before the Thomas Johnson Bridge. Trip time is about 1-1/2 hours. ---- From Baltimore: Take Interstate 695 to Route 3 South. Route 3 will turn into Route 301 South. Take Route 4 South. Follow Route 4 South for approximately 50 miles. Navy Recreation Center Solomons is in Solomons, Md., on the right-hand side just before the Thomas Johnson Bridge. Trip time is approximately 2-1/2 hours. ---- From Virginia Beach: Take Route 44 West to Interstate 64 West. Take exit on to J. Clyde Morris Blvd., Route 17 North. 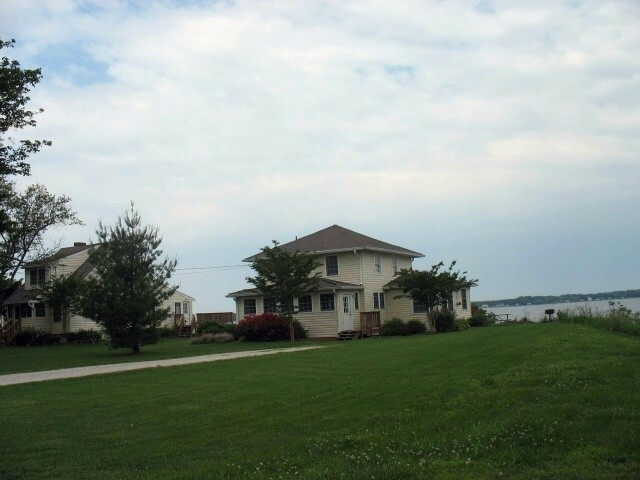 Follow 17 until you reach Port Royal; turn right on to Route 301 North. 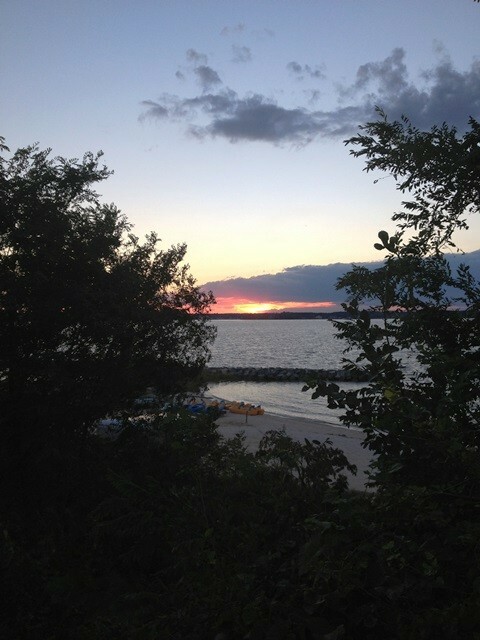 Cross the Potomac River via the Harry W. Nice Bridge, continue traveling north on Route 301 for approximately five miles. Turn right on to Route 234 (Budds Creek); follow for approximately 35 miles. Route 234 turns into MD Route 5 (Leonardtown, MD). Follow Route 5 South through Leonardtown. Turn left on to Route 4 North, cross the Patuxent River via the Thomas Johnson Bridge. Navy Recreation Center Solomons is in Solomons, Md., on the left-hand side of Route 4 North, approximately 1/2 mile past the bridge. Trip time is approximately 4 hours. Personnel serving in the uniformed services including active duty, reserve, delayed entry, allied foreign nationals (with security clearance), military national guard, retired military, 100% disabled veterans, active and retired Department of Defense personnel, and family members who carry a uniformed services identification card, DoD identification badge, or other documentation which indicates proof of eligibility in accordance with BUPERS Instruction 1710.11C. ID card must be presented at check-in. Required with full payment within 60 days. Solomons allots seasonal sites via a fairly complicated priority eligibility/length of reservation system - starts with active duty and on down to retired military and DoD civilians. Priority also uses length of reservation requested i.e. those want an annual site get 1st priority; then those wanting e.g. 3 months and down to 1 month. Many choice sites are locked in for annuals/seasonal, but they keep a certain number of sites open for short-term reservations. Staff extremely helpful and always willing to work with campers on site selection. Free WiFi available (reported as unreliable). Private WiFi also available from local vendor, but expensive - about $45 per month. 7 day stay limit Apr 1 - Oct 15. 90 day stay limit the rest of the year. Must be out for 30 days before allowed to return. Prices vary based on accommodation, length of stay, and season. Higher rates for civilians in peak season. The activity pass which comes with each paid site provides free access to pools, mini-golf, gear, etc. Contact Solomons for a Rec Center Book; it is very informative with lots of pictures and prices for everything. 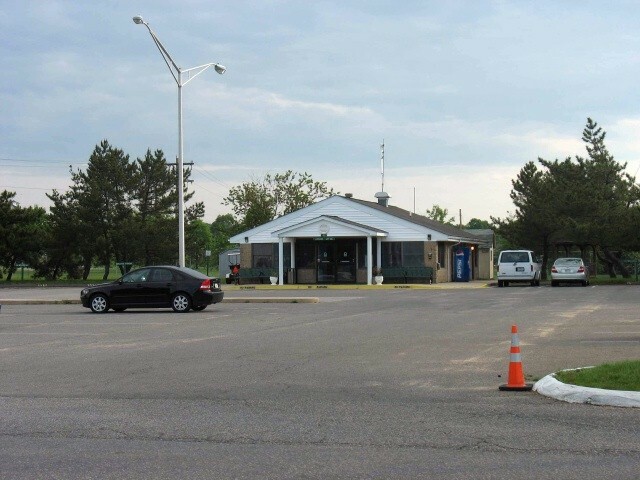 Recreational facilities, such as picnic pavilions, the Adventure Zone Recreation Center, a 124-slip marina with boat rentals, fishing pier, swimming pools, beach miniature golf, driving range, basketball courts and tennis courts are just a few of the recreational amenities available. Welcome to beautiful and inviting Navy Recreation Center (NRC) Solomons. 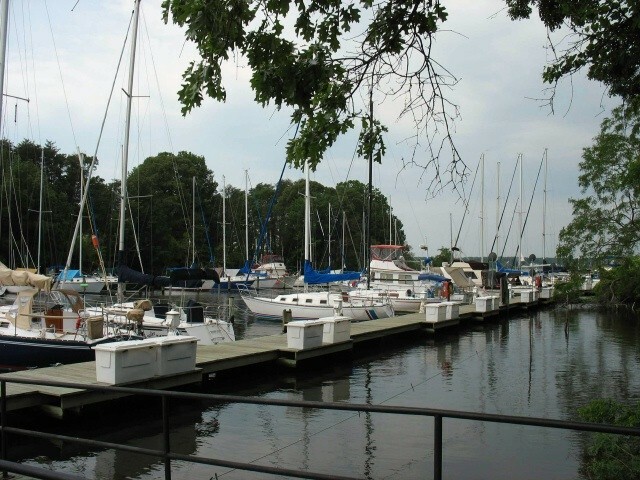 The scenic vistas of the waterfront of the Chesapeake Bay are a part of daily life here, and a big reason why this has proven to be a popular and most-sought after location for vacations for our proudly serving military members and their families for years. 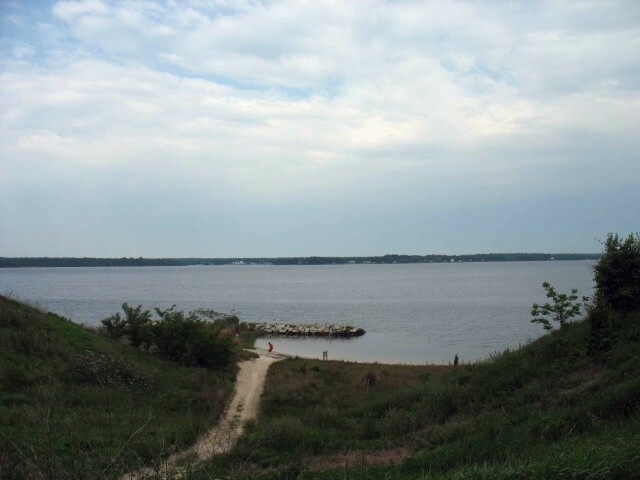 Nestled on a peninsula bounded by the picturesque Patuxent River and the Chesapeake Bay in an area you'll soon agree is aptly called "the land of pleasant living," the bay and its rivers play an influence on the local lifestyle, including the choice in leisure pursuits. We went to Solomons to look for ourselves to see if they might have an opening and the check out the campground, as it has been several years since last being here. The place is obviously not being managed well (probably because it falls under the Washington DC MWR services), as things look pretty run down. You still have homesteaders here, you still have semi-clean restrooms and you still have to pretty much be on active duty to get in here. If you're a retiree? Forget about it. 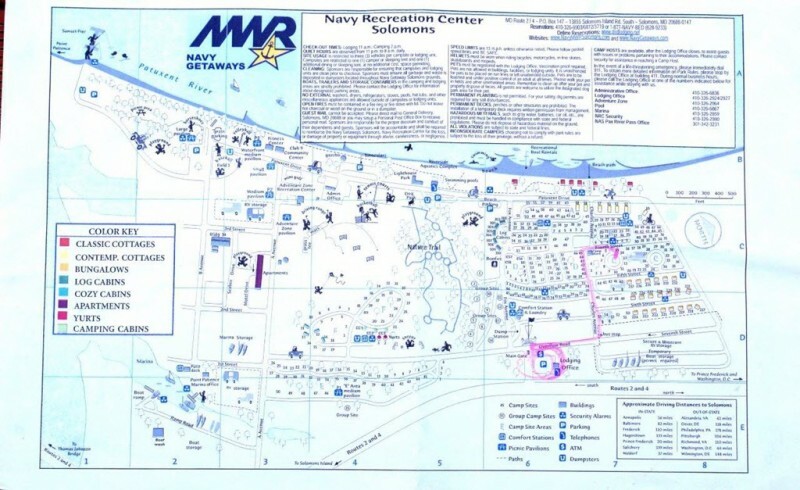 We made our first visit to Solomons Island Navy Rec Center with our 43' Motorhome and we had no idea what to expect, it was our first visit to a military campground. We were there to attend a friends wedding, which was in the area. First the reception lady we dealt with, Dena, was great. She helped us with an errant UPS shipment and generally was a pleasure to deal with. BTW lowest full-hook up daily rate we were eligible for, as retirees, was $41@night. So our overall impression was that the place looks a bit like a cross between a mobile home park and an RV park. 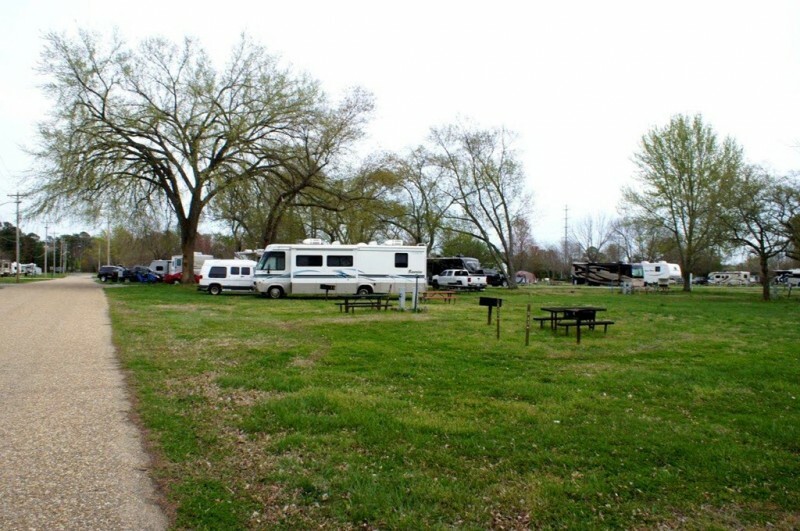 Many TT, MHs and 5th wheelers were parked there for a LONG time, had wooden decks built and were generally on the best sites, ie, secluded sites, or corner sites. Our site was very narrow, as were our neighbors. HOWEVER, in speaking with Dena, and noticing the incoming marquee, which read "INSPECTIONS start the 22nd of June", we learned that new rules were about to be implemented. New policy was a 90 day maximum stay, after 90 days if space was available the individual still was required to move to another site. With a 270 in park maximum within a calendar year. The restrooms and laundry was a bit rough and could have used a good cleaning. But functional. The pool was excellent. 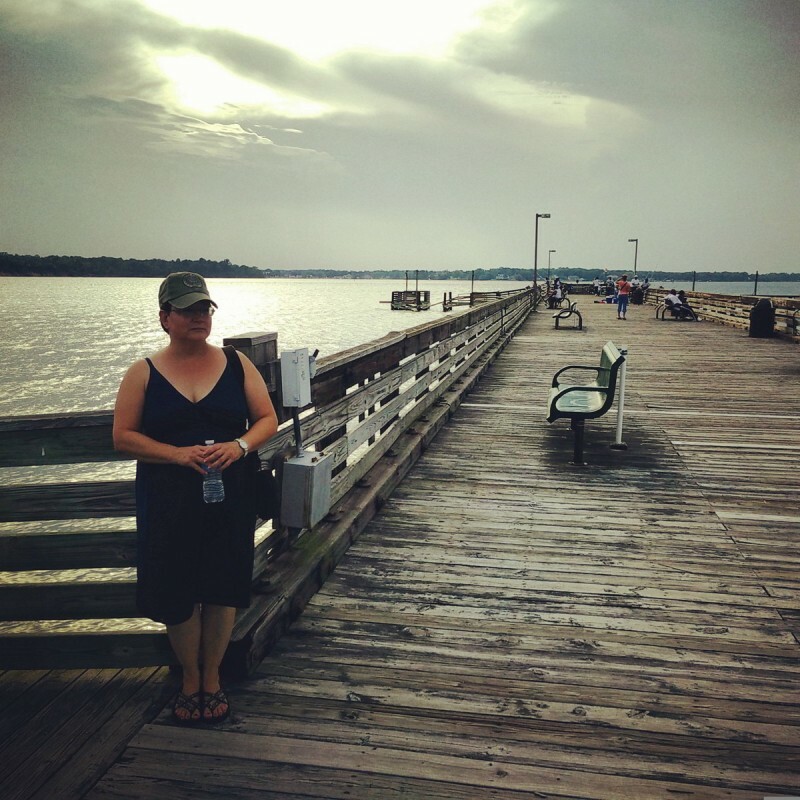 And the fishing pier was open and a few folks were there fishing. They do have 24X7 security guards on the front entrance, which was nice. All in all we'd go there again, especially if they implement and enforce the new policy. 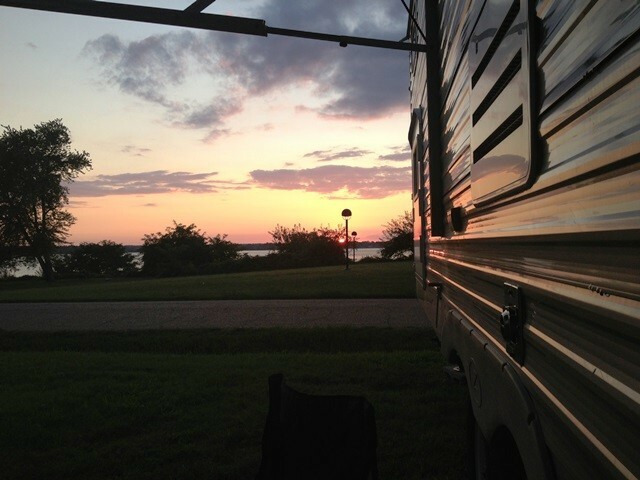 This campground has been a "jewel" of the East Coast campgrounds. I have camped here for the last 10 years, during the month of August, and have seen it steadily decline, due to mismanagement. The pier is in disrepair, life preservers are missing/have no lines tied to them, many lights are out, rails are broken, to name a few....seems that maintenance is nonexistent. 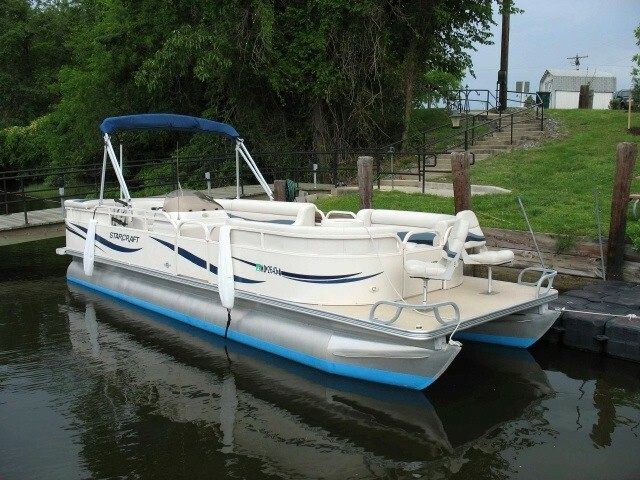 No longer have rental boats. Homesteaders have taken over most of the sites in F section, as well as the other areas. It appears that the command does not have a "handle" on what is happening there or does not care. We are snowbirds traveling from Florida to Maine. First time this year we used the storage area at this campground because our daughter's place was to muddy and we sank in the grass.....we paid a small amount for 2 weeks until going back to Maine. Well please read all reviews before you go there.....we would go check our 5th wheel every other day, well on May 9th we had the surprise of our life..when we got there someone had STOLEN our $1400.00 Hitch right off our camper, cut the cable wires for the brakes and the 12 volt lights...upon going to the security guards there, they acted indifferent towards us..didn't even come see our camper, filled out a police report with the description of our 5th wheel as 3 ft long plus the info on our insurance policy....what's strange is that in 20 yrs of camping this is the ONLY campground that asked for our insurance of the camper (red flag!!!) Went back today and it was different cops, the other cops there who took our report, had 4 of them there, hadn't even told these cops that this had been stolen..... I asked where was security to not see someone take a 200 lb hitch with 12 bolts out of there and one replied "We are low on security", they should tell people that security is low WE would NOT have put that there that's for sure!! !Now all the expense of having someone go there to put a new hitch because we can't take it anywhere!!!!! I was fit to be tied!!!!! It will cost close to $2000.00 to have that done so we can get back to Maine.....guess what someone will pay!!! Please people read the reviews and don't go there. The second day we put it there a dumbass did the lawn and did not put the chute down, all 4 sides of our camper was covered with grass, took my husband and I one and 1/2 hrs to get that cleaned up...so please from the reviews i can see this place is the DUMPS!!! Will never go there again period! We will go further with this, that's false advertising saying its 24 hr security, now they are saying not security for that part of the park.....I guess people live there year round and they make trouble for other tourists, read the reviews!!! We live close and it is a good place to go to get away. They changed the reservation system, you can no longer request a specific site or you have no idea where you will end up. The F sites are the nicest. There are a lot of homesteaders they need to get rid of, limits the amount of full hook up sites and some of their campsites are inundated with crap. I found it strange that people live there year round and the school bus comes in a picks up children. DOD over-run the place on holiday weekends with everyone in their families joining in. We always have a good time, most people are mindful of kids riding their bikes. 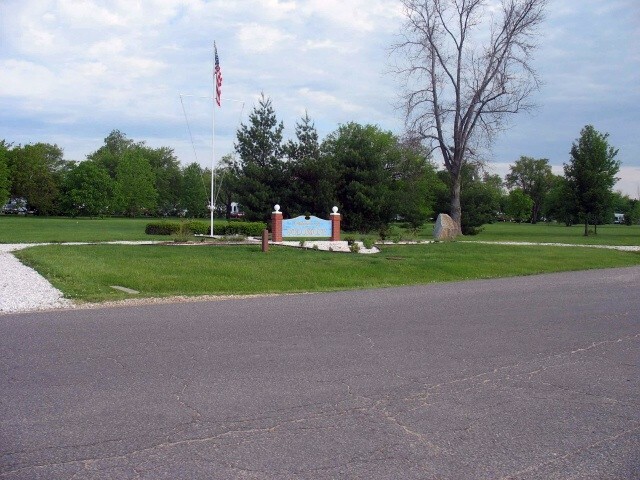 We purchased a pop up camper in 2004 and the first campground we stayed at was the Solomon's Rec Center. 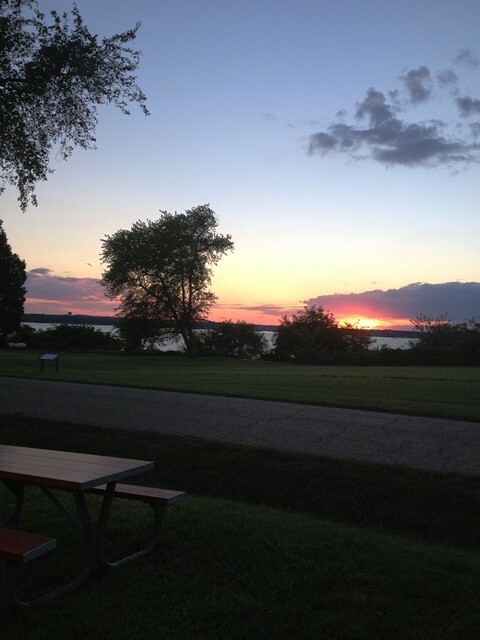 It was a very nice campground. Over the next year, we stayed there several times. Saw a nice weekend coming up, did not have duty, let's go camping, no problem getting a reservation. I believe that it was in 2006 MWR opened the Rec Center up to all DoD card holders. Nothing against the DoD civilian workforce, but the rec center has gone down hill since. You basically have to make your reservations 1 year in advance and good luck with the sites and neighbors. We have not returned as it is too much of a hassle. This is just another example of the Military benefits being eroded away. This campground has the potential to be a nice place if the management would keep it up to the standards of other campsites. 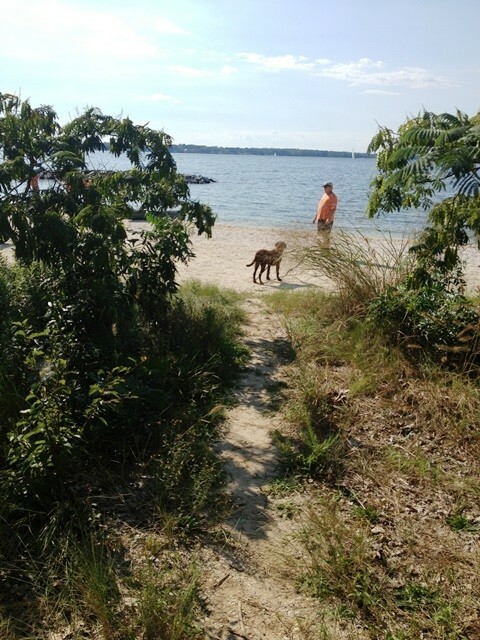 Solomon's Island is a decent location but is very unmaintained. For the standards of the military, and the hard work of our soldiers, I expect a nice place to relax, but this campground does not offer that standard. 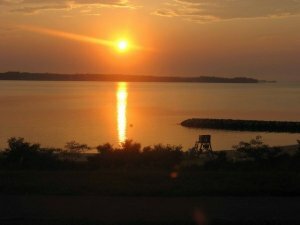 We are navy retired and stayed at this campground 3 years ago and had a pleasant stay, so we returned this year 2013, but had a very different experience. We had reservations, but the staff made us wait at least a half hour to find a site for us because they were over-booked. The staff was insulting when we asked questions, they talked to us like we was stupid, and her coworkers in the background being insulting as well. Seems training in hospitality and customer service would be of help to this staff as well as management. We made reservations in advance, but upon arrival the section the office assigned to us already had somebody there, so we went back to the office and Joan said they were over booked. It took us over 9 hours to get there and we worried we had no place to go. Joan assigned us to a site someone just left section C38, this site had several tree and no grass, so when it rained it turned into mud and muck. There was dead tree branches thrown around, this site was clearly unmaintained. 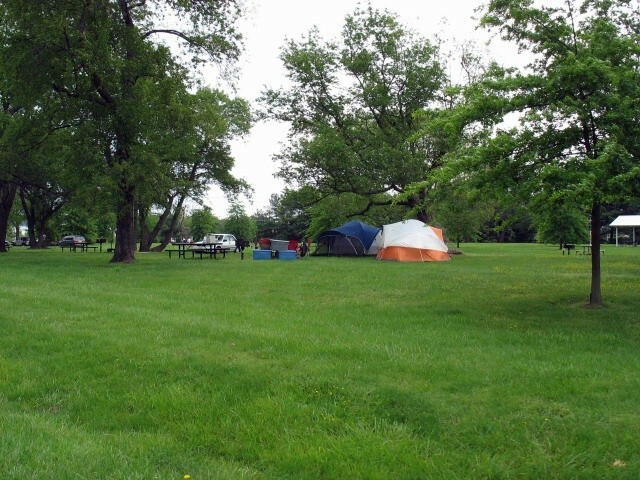 The positive was the neighboring campers who invited us onto there grass so we could get out of the muck. When we complained to the front office, they made us feel like our complaints were unwarranted. The manager at the time, Tracy, did come out to our motorhome to view the mud and muck, but did not credit or discount our stay. Beware....especially if you make a complaint. Will we return....NOT! This is a very unkept campground. Individual spaces are mowed by homesteaders that bring their own lawn mowers. Other sites are left in deplorable condition including ankle length grass debris on the street. Looks more like a carnival caravan than a campground. Homesteaders have junk and storage units half covered beside their motor units. We were greeted by a loose dog and saw several as we walked around. Besides looking like a junk yard one trailer had 4 gas cans under their rig. The two husky dogs next door were left on chains most of the day while the owners were away. We are very disappointed as we made our reservation months ago thinking this was going to be a nice place. You would think for $30 a night they could at least mow to avoid ticks and fleas. Not up to standards of the many military campgrounds we have been to across the country. This would be a a no, never again place to come unless you enjoy the thrill of disgrace. 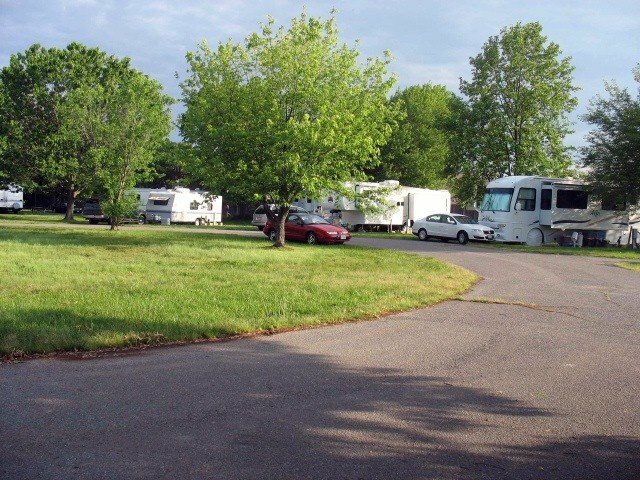 The location of this RV park is prime, but the facilities are severely lacking. If you need 50 amp service, your only options are the "C" and "G" camping areas. We were booked in the "G" area where you are packed into the camp like sardines. It is only 30 feet from center point to center point of the RVs. The sites are relatively level graveled sites, but the gravel hasn't been replenished in years and is mostly covered with weeds. The majority of campers are homesteaders, and it shows by how junky the place looks. The grass was not mowed during the entire two week period we were they and the area resembled a pasture. Many of the homesteaders have resorted to purchasing their own lawn mowers to keep their sites mowed. Especially given the tall grass, ticks were rampant throughout the RV park. The "F" camping area is beautiful with large spaces. Only 30 amp service is available in the "F" area, however. WiFi can be purchased at a daily or monthly rate, but it is mediocre at best (slow and intermittent). It is evident that this Navy Recreation Center was really nice at one time, and the potential is there for it to be really nice again. Major renovations and a change in management appears necessary for this to happen, however. It is a shame that this potential gem is so mismanaged. Although very nicely located, this place needs some serious attention. I was not able to get a full 30-amps (usually less than 20-amps) from the power supply! 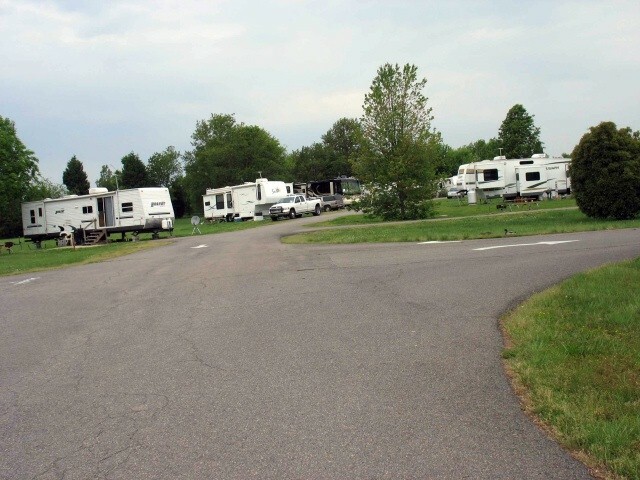 Over Memorial Day weekend, the place was a zoo with campers stacked like firewood! Trash was in the provided barbeque upon our arrival. One of the kids playgrounds had human excrement smeared on the slides. Alcohol was being consumed all over the place even though it's forbidden in the campground rules! The rules aren't enforced very well and they need to limit the number of campers! Won't be going back anytime soon. Had a great time over the Memorial Day Weekend. 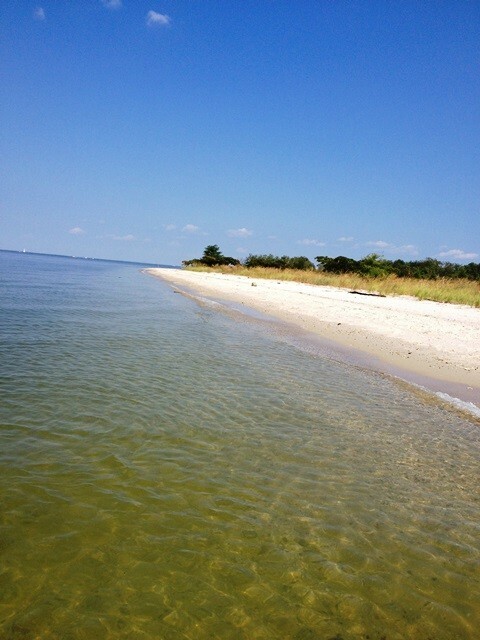 I rated the location 5 stars because it was only 15min from our house in California, MD. The trip consisted of myself, hubby, and 12yr son - there was something everyone. We tent camped and the sites were spacious, clean, and had many shady trees. 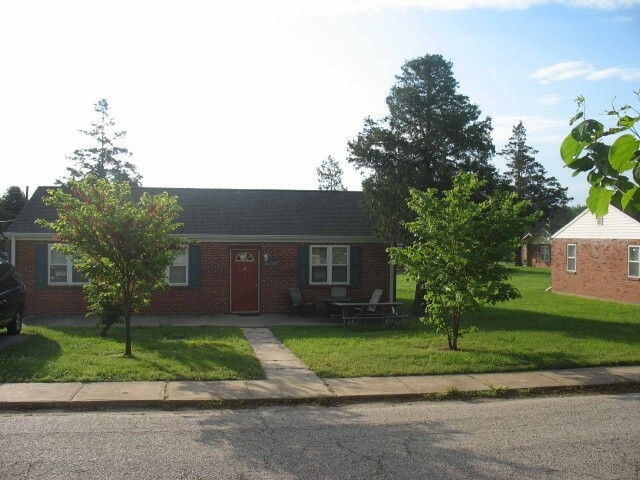 Single family sites are primitive so no water or electric hook-ups. We did just fine. They have port-a-potties and a comfort station that includes showers/bathrooms and a laundry room. The amenities are everything you can ask for: pools, beach, pier, marina, adventure zone for kids, sport equipment and facilities, rentals, different lodging opportunities, and convenient located around food stores. We had a blast! If I had to complain I would say the comfort station can stand to be renovated (No shower curtain between stall and changing area for example) and cleaned a little more often. But keep in mind it was a busy weekend. But that is really it. 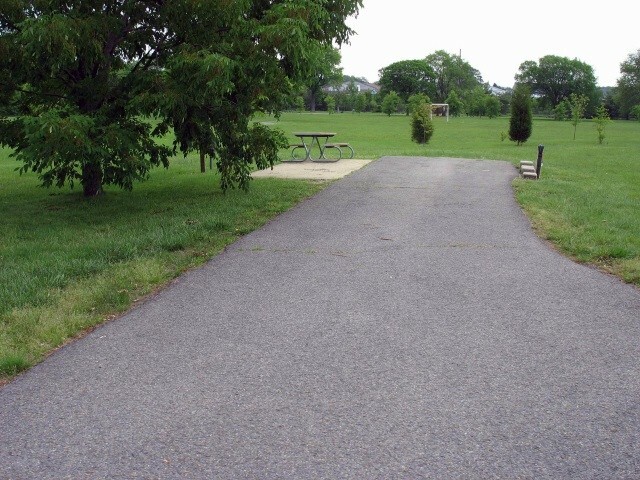 The camp ground itself was clean and maintained. Btw, you don't have to camp or stay the night to enjoy this area. Our family usually does KOA and other resorts but have to say the Recreation Center exceeded my expectations by far! We will come back again and again. Pay no attention to the May 2013 review. I think he reviewed the wrong park. We and three other families with kids of all ages & multiple pets have just had a wonderful Memorial weekend. No tree issues that we found & a couple of us have some big rigs. No water pressure problems. Pool and beach open. Great rec center that had all kinds of activities for families each day that you could join in. 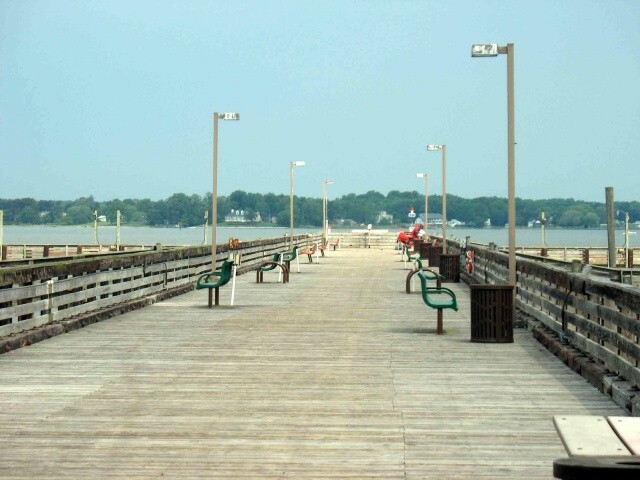 Several large play grounds, hiking paths, large fishing pier. Saturday night they even had a free concert that wrapped up by 10:00 so no one was inconvenienced. Bath houses maintained fairly well for such a busy weekend. 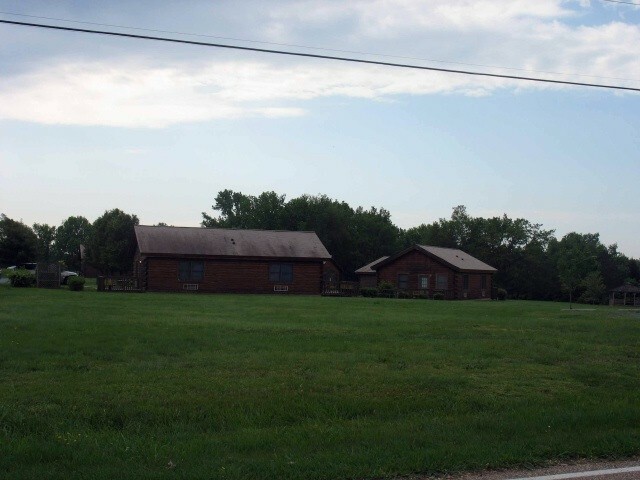 Yes this is an older camp ground so some structures have seen some wear but we feel that just adds character. So I am not sure how you could be more kid friendly. We will be back!!! Do not attempt to get in here with anything larger than a pop up camper because you will scrape your rig on all of the overgrown trees. At our site, we found a dirty diaper and trash everywhere. The grass looks very overgrown, and the place looks more of a very poor, destitute trailer park than a vacation spot. No wifi, poor water pressure, and not, repeat, not kid friendly. No activities, and the whole place needs a lot of work. The staff was really friendly though. Will not be returning. Mowing crew left grass all over walking path, and multiple "homesteaders" made it nearly inaccessible even in the off season. These long timers had their rusty junk all strewn about really making the place look scary. Stayed here a full week to visit family in the area and it worked out just great. 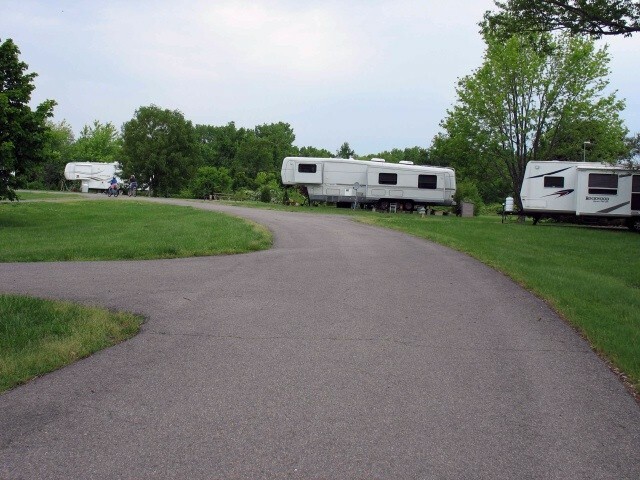 Family members were allowed to come into the campground with no hassle at all. Very neat Air Museum just outside the Pax River Naval Air Station gate. An hour and a half ride to get to DC to see a baseball game. Wifi for $14.95 a week worked pretty well. We found the folks in the office to be very helpful in making our reservations a month in advance...for a very busy Labor Day weekend and had ice for $1.25 a bag. We paid $210.00 for 7 nights camping. One hiccup we have never had before .....when we were checking in we were asked for PROOF OF INSURANCE ON THE TRAILER.....I showed her the proof of insurance for the truck and she was ok. Was just a little strange. We will be back when ever we are in the area. We're spending four days here while visiting with family. We made our reservations by phone and were informed we could only get water/electric. However, when we arrived at the office we were told we could have full hook-ups. 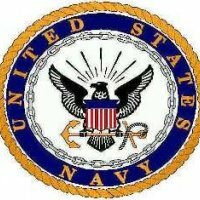 Apparently the company the Navy contracts with for reservations doesn't know what is available. The park has a shabby appearance due to the homesteaders - one woman lived here for 17 years before finally being asked to move on. Also, the cherry trees throughout the park can really mess up your rig when they splat on the roof, and they can stain your clothes and carpets. We would stay here again only because it is close to our family. Stayed here 3 weeks. Very quite and relaxing, right by the water. 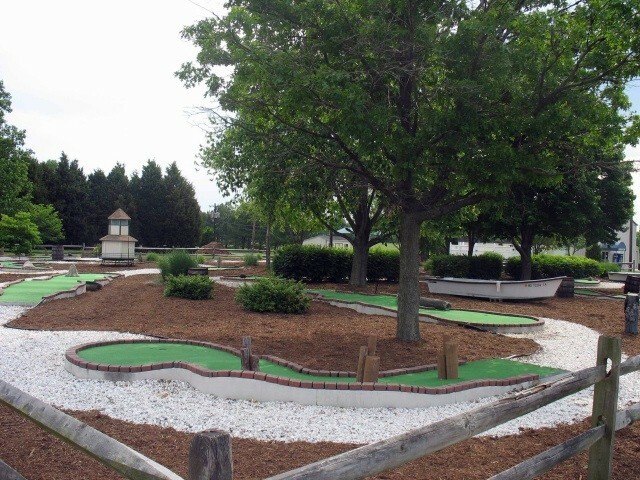 Campground is vary large, pools, water slides, putter golf, fitness center, fishing pier, & walking trails. Had water & electric hookups at our site. Sewer is available at other sites but none were available the dates we were there. Direct TV, Verizon cell & Internet worked great. Paid $ 18.00 per night. Small exchange on base, but not far from other shopping and dining out. Had laundry by exchange, $1.25 wash & $ 1.25 dry. I would strongly recommend Reservations, this place gets filled up and their are many seasonal campers there. I'm not a numbers rater, either I like a FamCamp or not. Well I like this FamCamp. Will stay here again. The description of this facility on this website needs to be updated. This facility is located in a beautiful area of Maryland. This facility has potential to be a five-star site if updated. The personnel in check-in office are not well informed as to the operation and amenities of the facility. Wifi is totally unreliable and is only available in certain areas at a cost of $14.99 a week. This is the only military campground we have stayed at that charges for wifi. The bathhouses are old, but clean. They are in need of upgrading. The hook-ups are outdated, rusted, and in need of updating. The reservation process is very complicated and allows for mistakes to be made. There are a very LARGE number of seasonal campers (not on site) which causes a problem for transients. We stayed for 4 nights around 15 June 2011. I need to address the contractors that do the mowing. Every one that I saw operating the mowers had the safety flap that makes sure nothing fly’s out were in the open and up position. They were throwing rocks, etc. and I had to get out of the way when I was walking my dog. I think the practice of mowing like that is very dangerous and is defiantly a safety hazard. Your rules state that there will be no decks, plantings on the long term sites, but there are numerous sites with these decks etc. The rules need to be enforced for all. I do not like to make these complaints but I feel the safety issues really need to be checked out. 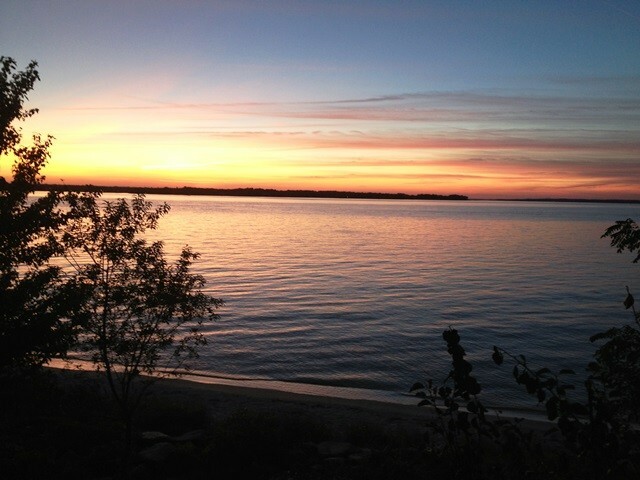 We try to come down at least every year, it is one of the best camping places to go that we have ever been to. I did like the campground a lot! My kids loved the pools and the slides. The only problem I had was that we took our dogs with us. We had them tied out right on our spot. That's a no no! Too many old people down there that swear there dogs are human. We had them in the shade with a bowl of water and they are labs. They rarely bark. Old people instead of coming and saying something to us reported us and we got a warning. I tried to call the office to discuss this but nobody ever called us back. We have dogs that are not human and would rather be outside then stuffed in a camper. We have dogs not dogs that think that they are human. They also screwed up when we would be leaving and charged us for it and will not return the fees. Even tho it is there fault. So watch all of this because they do not like to return money to the customer.